I love a good Japanese restaurant... who doesn’t? Another recent makan session led me to Kofuku Japanese Cuisine in Seri Pacific Hotel Kuala Lumpur. Hidden away, I was pleasantly surprise at this spacious restaurant with a lovely garden view! Kofuku translated means “Double Happiness”. Lovely Japanese dolls adorned its décor and there are plenty of artistic Japanese portraits with bold calligraphy featured all over the restaurant. The wooden theme echoes a very comfortable ambience for diners. Plenty of wood is featured from tables to panels and private tatami rooms to showcase true Japanese tradition in keeping everything natural and elegant. As soon as we sat down, we were presented with the house boat filled to the brim with Sashimi Moriawase (RM150/RM190) and Temaki. Sashimi had fresh tuna, salmon and butterfish taking the lead. Looking back at the pictures right now had me salivating at the sashimi again. 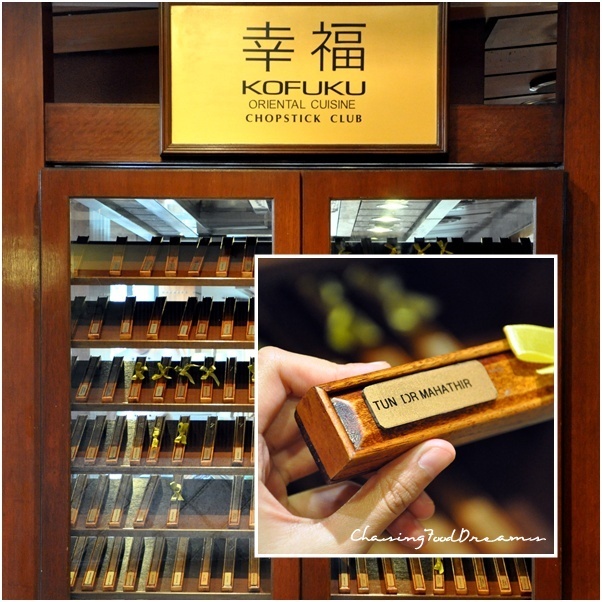 Kofuku imports their fish from Norway according to the chef to ensure quality control. The house special Kofuku Maki (RM35) was gloriously coated in bright crunchy orange roes. Crispy soft shell crab, avocado, cucumber with mayonnaise and fish roe made up the house roll. The sushi rice was nicely cooked and the combination of crunch and creaminess was delightful. California Roll (RM18) was easy to eat but nothing to shout about. I do love the bountiful of the little fish roes though! From sashimi, we proceeded to bowls of hot steaming Edamame. Munching on these popping beans are so addictive. I like mine steamed and lightly salty! Chawan Mushi (RM25) was one of the biggest and nicest egg custard I had. The lovely steamed egg custard was ultra smooth and so wobbly good with scallop, prawn and gingko nut. Steamed perfectly, I could have bowls of this heavenly custard. Kaki Motoyaki (RM48) was lovely half shell oysters baked in a luscious cream sauce. The briny oysters flavor was really the showstopper and the gratinee cream sauce was the perfect supporting partner to this. Make sure to order this!! We also had the usual Tempura Moriawase (RM38), which had lovely pieces of crispy prawns, fish and vegetables in a light tempura batter. I saw three large teppanyaki tables in the restaurant and notice the Teppanyaki chef busy in action frying up a batch of chicken and scrumptious looking prawn heads! 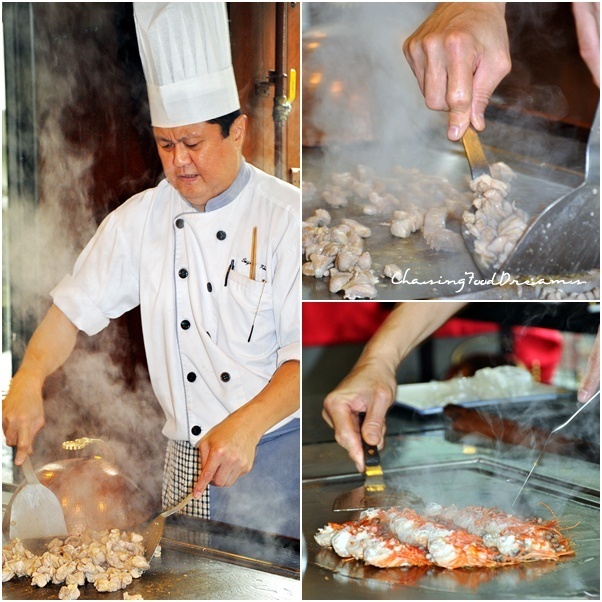 The teppanyaki chef delighted us in some flaming actions and juggling of knives while he cooks our teppanyaki dish. Our Teppanyaki came and we were bowled over by the choices on the plate. Beef, Salmon, Scallops, Prawns, Chicken and assortment of vegetables all jostled for space. The smoky buttery flavors were tempting and bits of crispy garlic were detected all through the meal. Psst.. the chef tells me he uses herb butter for his teppanyaki…no wonder it smells so good! We ended our meal with the traditional Matcha Zenzai ice cream and red beans. Luscious although melting, I still finished this lovely green tea ice cream! Sous Chef, Chef Amy Zakaria (second from left) and his team of chefs with the lovely wait staff in kimonos were friendly and discreet. We warm up to them quickly and Chef Amy was humble to share his stories and experience with us during our dinner. Local boy hailing from Selangor, Chef Amy is armed with over 20 years experience and has been with Seri Pacific for more than 10 years! Truly a lovely evening well-spent at Kofuku. Portions are sizeable while the quality is great. The ambience is warm and inviting, coupled with great food and service, this merits a return! Psst… I notice their Japanese Buffet on the weekend… want a deal? 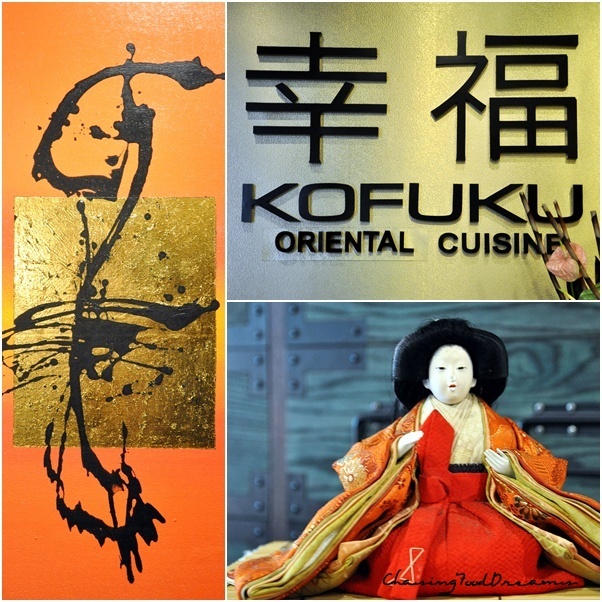 Enjoy an authentic Japanese buffet @ Kofuku, Seri Pacific Hotel KL (5 Star Hotel) at a steal!! 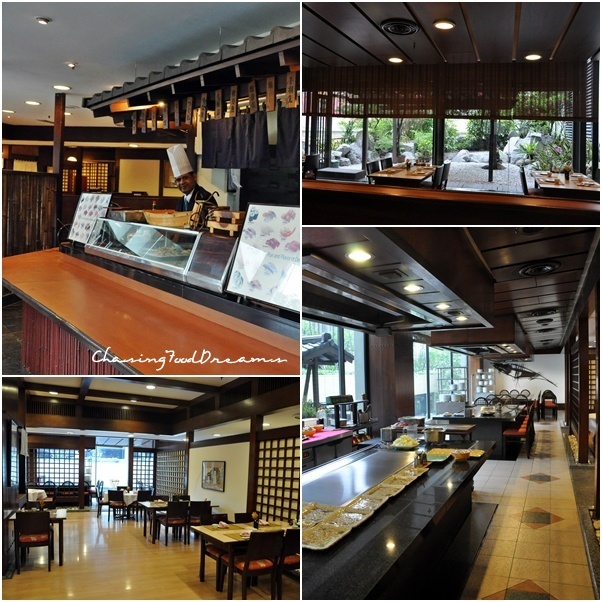 Japanese Buffet (Weekend Dinner) @ Seri Pacific Hotel (Kofuku) For Only RM43.50!! LIMITED COUPON ONLY!!! What are you waiting for? See the buffet spread for yourself at Everyday.com! Dont play play with knife.. Wohoo..